Right click here to download a free Windows Media live video of Caroline Blue Queen of Pleasure. Right click here to download a free Windows Media live video of Caroline Blue Mine, Mine, Mine. CAROLINE BLUE is a Melodic Hard Rock Band from Upstate NY. 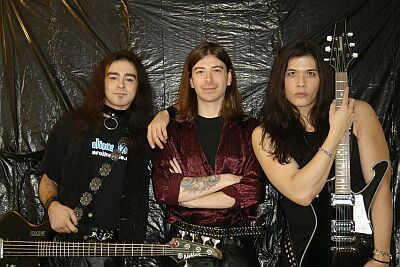 They are a 3 Piece Band consisting of Wayne W. Johnson on guitar and lead vocals, Azriel Mordecai on bass, Metal J on drums and backing vocals. Their music is similar in style to bands like early KISS, Motley Crue, and early Judas Priest. 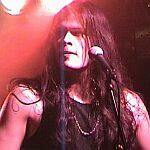 Wayne Johnson has played Lead Guitar for several local Upstate New York bands-including X-Rated, Kupid's Kurse, Zealous, Front Row, Smokin' Worm, Spider Babys, and the Black Sabbath Tribute band Sweet Leaf. 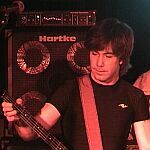 Wayne also has played bass for the bands Four Large Men and Tastes Like Chicken. 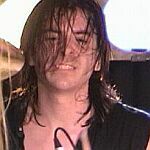 Azriel Mordecai had formed / joined several punk bands that were influenced by Black Flag and The Misfits. 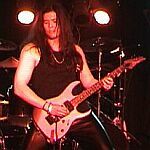 He then formed The Venus Faith Asylum-which has been his longest running single project. He worked briefly with Krypt VI before co-forming The Prophecy. Azriel also played with Zadoc and the Nightmare. 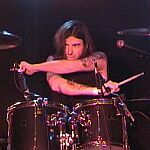 Metal J has been involved with a few bands in the Providence / Boston area - most notably Asylum Choir and Immortal Soul.